Will Serbia start accession negotiations with the EU is a question the answer to which is expected in June this year if, of course, Belgrade's efforts for regional cooperation, according to the comprehension of the Union, will be sufficiently convincing, most of all in terms of Kosovo. The former Serbian province is constantly under the spotlight when it comes to Serbia's European integration and this is why very often other problems the country has remain in the background. Problems, which the country has to tackle during the accession process and most importantly - before membership. Problems which are as if taken out under a carbon paper from the Bulgarian transition toward democracy and market economy. 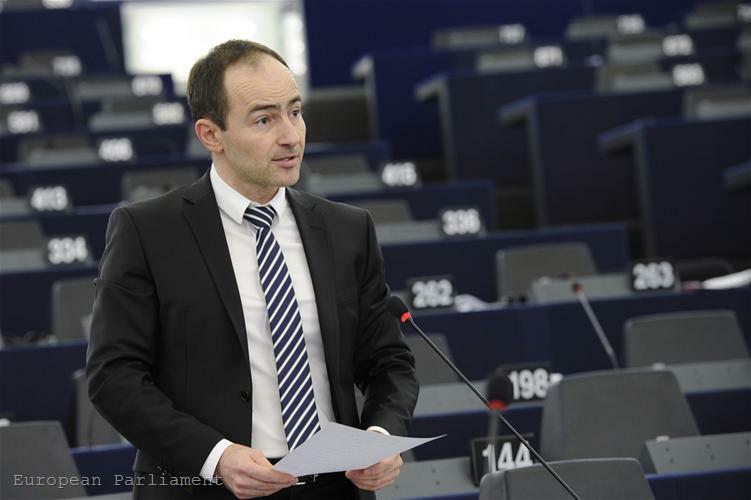 Of the scale of the task speak many of the amendments to the draft resolution of the rapporteur on Serbia in the European Parliament Jelko Kacin (ALDE, Slovenia) which was discussed in the foreign affairs committee on January 21st. Naturally, the amendments related to regional relations and especially to Kosovo have the biggest volume in the draft, but there are also many other groups of amendments that deserve serious attention. Serbia is facing a very difficult task not simply to reform key areas, but to entirely change its attitude in order to avoid a return of bad practises - a process which can be observed in Bulgaria, for instance. I do not know if this is what Croatia's Prime Minister Zoran Milanovic had in mind when he said at his first meeting with his Serbian counterpart Ivica Dacic that Serbia's accession process is expected to be much tougher than that of previous and new member states. It is certain, though, that Serbia will be looked through a magnifying glass precisely because of the mistakes with Bulgaria and Romania, while we are yet to see whether with Croatia too. The lack of confidence in the capabilities of the Balkan countries to reform genuinely not only in words and paper is quite evident in the amendments document of the European Parliament. 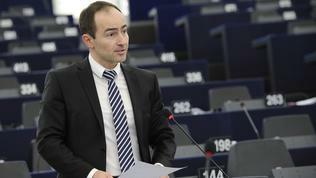 For example, to the original text of Jelko Kacin where the Council is called upon to set a date for starting accession negotiations as soon as possible provided the most important priorities are satisfactory met Lithuanian MEP Justas Vincas Paleckis from the group of Socialists and Democrats in the European Parliament proposes something else to be written down - that the Council should set a date for beginning accession negotiations only when the country fulfils entirely all the conditions and provides a solid track record. In other words - the negotiations may begin only when conditions are met, not when there is will for their implementation or there is a process of implementation going on. The rapporteur himself proposes an amendment to this text, with which he maintains the tone but is much more specific regarding the conditions which Serbia has to have implemented before receiving a date for accession negotiations. 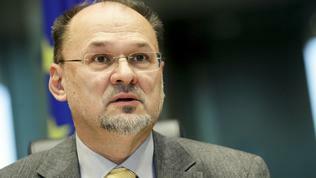 "Calls on the Council to set the date for beginning of accession negotiations with Serbia as soon as possible, provided that the key priorities are satisfactorily met and that the reform processes continue particularly regarding the rule of law, thereby demonstrating the EU commitment to the Enlargement process and the Western Balkans countries' EU perspective; welcomes the progress made by Serbia towards meeting the Copenhagen political criteria, as recognised by the European Commission in its 2012 progress report, and recalls that further progress in the European integration process is dependent on continuing the reform process, and in particular guaranteeing democracy and the functioning of democratic institutions, upholding the rule of law, respect for human rights, equal and committed protection of all minorities throughout Serbia according to European standards, maintaining good-neighbourly relations and regional cooperation, including peaceful resolution of bilateral issues, as well as improving the functioning of the market economy". Not only Jelko Kacin is a supporter of the idea that the process of accession is more important than in what condition you have reached it. Italian MEP Pino Arlacchi (S&D) proposes a new paragraph in which to be underlined that Serbia's accession to the EU is essential for the quality of the economic and social development of the country. A new text is proposed also by Bulgarian MEPs Andrey Kovatchev (EPP) and Stanimir Ilchev (ALDE), together with their colleagues György Schöpflin (EPP, Hungary), Elisabeth Jeggle (EPP, Germany), Tunne Kelam (EPP, Estonia), Franziska Katharina Brantner (Greens/European Free Alliance, Germany). This text is substantial and reflects a mistake that was admitted in relation to Bulgaria - there was no sufficient pressure Bulgaria to tear apart with its past by exposing the communist security services and preventing their influence in the processes that followed in the country to date. With the amendment to the report on Serbia the authorities in Belgrade are called to continue their efforts to eliminate the legacy of the former communist secret services which will be considered a step toward the democratisation of Serbia. 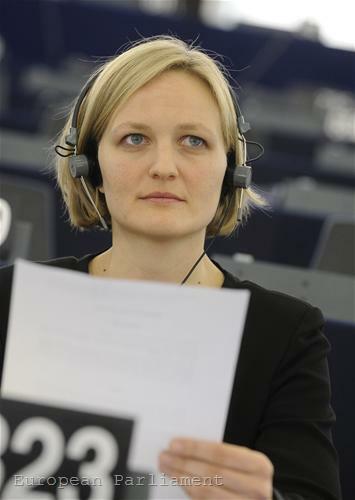 The MEPs also call the security sector to be reformed by increasing parliamentary surveillance and supervision over the security services. It is also recommended the national archives to be opened, mainly for documents from the former Serbian intelligence (UDBA). Moreover, Belgrade is called upon to facilitate the access to those archives that concern the former Yugoslav republics and also those archives to be returned to them. The independence of the Serbian Central Bank is a subject of many amendments in the draft resolution, although in most cases the proposals recommend the criticising text to be deleted. 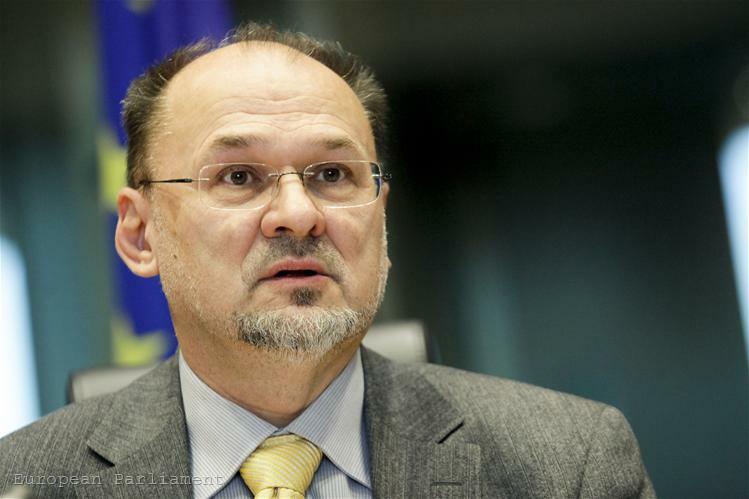 In Jelko Kacin's initial document it is written that the EP is concerned with the amendments to the Law for the Central Bank because they undermine the bank's independence, as euinside wrote in the summer. The text recalls that the Copenhagen criteria include independence of state institutions too. 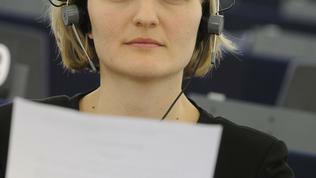 Many MEPs propose the text to be deleted probably because of the voted in November amendments to the legislation in harmony with the European Commission recommendations. 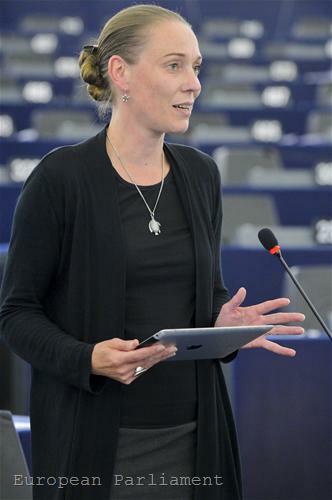 Other MEPs, however, propose instead of deleting it the text to be changed by writing down that the EP welcomes the amendments to the Law after recommendations by the European Commission. 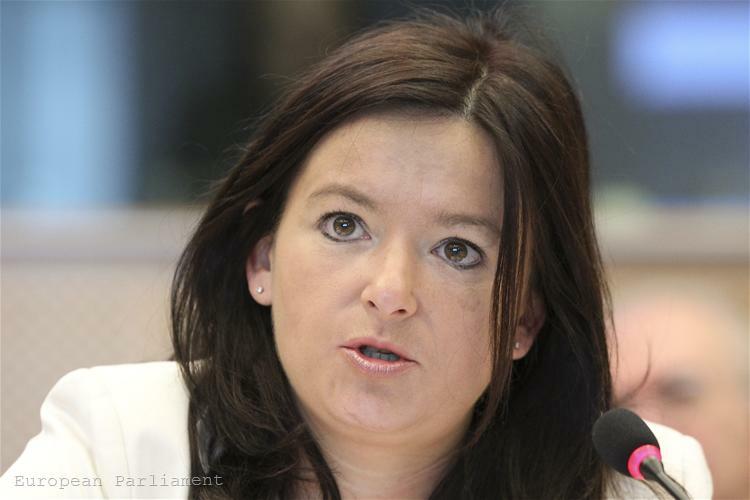 Slovenian MEP Tanja Fajon, also from the group of Socialists and Democrats, proposes a new text to be added to the same paragraph, saying that the changes to the Law in November 2012 are welcomed because they reflect the European Commission recommendations and are perceived as a symptom of the readiness of the ruling coalition to "listen to the recommendation of the EU and the IMF". Another big group of amendments in the draft resolution is related to the cooperation with the International Crimes Tribunal for former Yugoslavia in The Hague. 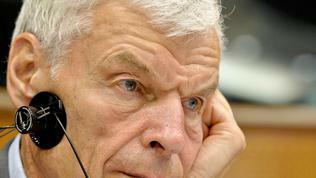 In the text it is pointed out that the EP welcomes Serbia's cooperation with the tribunal and that all suspects of war crimes are handed over to the Tribunal. To that text Tanja Fajon proposes a change that calls on Serbia to keep its promise and to remain consistent and determined to regional cooperation and reconciliation in the Western Balkans, "despite the manifested disappointment after the recent acquittal of the ICTY against Gotovina, Markac and Haradinaj". 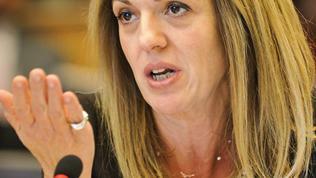 Greek MEP Maria Eleni Koppa (S&D) proposes a new text that marks the disappointment in the Serbian public from the acquittal of Ramush Haradinaj, Ante Gotovina and Mladen Markac and to remind Serbia that the presumption of innocence is central in a due process. The MEP also calls all claims that the verdicts of the Tribunal "legitimise" whichever war crime to be strongly condemned. It is also appealed the local courts to continue investigating and prosecuting war crimes committed during the Yugoslav wars. It is recommended all sides to avoid nationalistic triumphalism, statements and actions that could hamper the efforts for regional reconciliation. It is no surprise that the biggest group of amendments is related to the relations between Serbia and Kosovo. The draft resolution calls for restoration of the Belgrade-Pristina dialogue at the high political level and welcomes the commitment of the new Serbian government. It is also called for full implementation of agreements. In the amendments to this text there are calls Serbia to continue its good cooperation with EULEX, to ensure the social-economic development of the region, transparency of the financial assistance in the area of education and health care in the region. It is also pointed out that the ideas for division of Kosovo or whichever other country in the Western Balkans on ethnic or other principles contradict to the spirit of European integration, regional reconciliation and European values. It is called for removal of the parallel structures supported by the Serbian state in the north of Kosovo. Some amendments reflect very recent outbursts of tension between Belgrade and Pristina, like the refusal of the Kosovo authorities to let Serbian President Tomislav Nikolic to mark Orthodox Christmas in Gracanica. 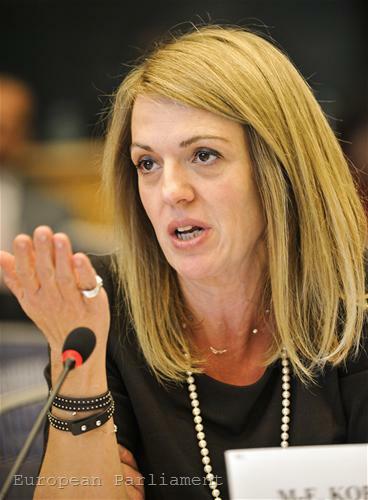 This act of the Kosovo authorities is condemned as is the refusal of the Serbian authorities to allow Kosovo's Deputy Prime Minister Mimoza Kusari-Lila to cross the border and to visit the Presevo valley. Ramon Tremosa i Balcells (ALDE, Spain) goes even farther calling in his proposal for amendments the Commission to put as a compulsory pre-condition Serbia to recognise Kosovo's independence before joining the EU. Corruption and organised crime have also drawn the attention of many MEPs in the foreign affairs committee in the European Parliament. The draft resolution calls on the government to demonstrate political will to successfully investigate corruption cases, including 24 controversial privatisation deals. Hope is expressed that the pro-active role of the first deputy prime minister in that area would deliver. The very author of the draft together with Maria Eleni Koppa propose an overhaul of this text, supplementing it with very specific recommendations, like for instance the government to complete the national anti-corruption strategy 2012-2016 and the relevant action plan. It is pointed out that the key in the fight against systemic corruption can be found in severing links between political parties, private interests and state-owned enterprises. Attention is paid especially to the need the funding of political parties to be transparent and according to the European standards. In the same vein Serbia's authorities are called to entirely apply the law for financing of political parties, to respect the presumption of innocence and to accept that whistle-blowing is essential in pursuing corruption. The government should also apply rules for protection of whistle-blowers and actively encourage people to reject corruption at all levels. Conflict of interest, an issue that suffered a real fiasco in Bulgaria, is pointed as a problem too, which needs to be tackled by Serbia. In the draft resolution it is proposed the government to develop an independent supervision and capacity for early detection of conflict of interest in the area of public procurement, management of public enterprises, privatisation procedures and public spending which at the moment are most vulnerable to corruption. 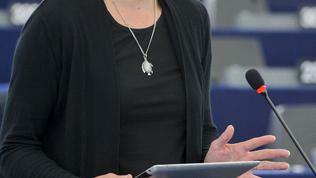 With an additional text the MEPs from the group of Greens and European Free Alliance, Franziska Katharina Brantner, Ulrike Lunacek and Marije Cornelissen propose noting that corruption and organised crime are widespread in the region and call for a regional strategy and enhanced cooperation between all countries in the region so that handling this problem can be more effective. An obligatory part of the fight against corruption, organised crime and the overall process of deep transformation are media. This is why in the draft it is pointed out that professional and independent media are an essential part of the democratic system. The authorities in Belgrade should ensure freedom of media and investigate the killings of journalists in the 1990s and 2000s. 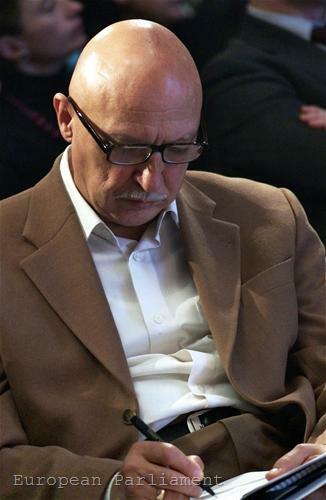 Serbia should also start solving the problem of concentration of ownership of media. The attempts for control and interference in the media sector are noted. In an amendment to his own text, Jelko Kacin adds a call to ensure equal access to the advertisement market which is dominated by several economic and political actors, including the disbursement of public money for advertisement and promotion. Internet access is low and that is essential for the independence and freedom of media. This is why the Serbian authorities are called upon to work more in that direction. The smallest group of amendments is related to visa liberalisation to which more and more developed EU member states demonstrate nervousness and the calls visa regime to be reinstated are growing. Serbia is among the countries threatened by such calls because of the large number of unjustified asylum applications. 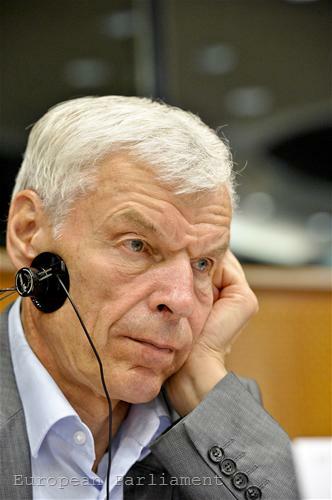 The unattached Dutch MEP Laurence J.A.J. 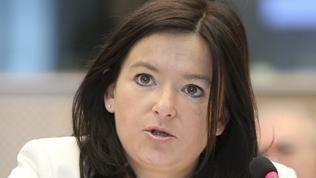 Stassen even speaks against visa liberalisation for the countries in the Western Balkans. Jelko Kacin and Maria Eleni Koppa, however, are of the opinion that visa liberalisation is one of the most visible and specific achievements of the process of European integration in the region. A possible suspension of the visa-free regime could significantly reverse the process of accession of the Western Balkans to the EU. The member states that are most affected by the problem should work together with Serbia and should also develop appropriate mechanisms, like for instance listing the countries from the Western Balkans as "countries of safe origin", which will remove the need of seeking asylum. The member states should also help Serbia in its efforts to handle organised crime in terms of traffic of fake asylum applications. Serbia itself is also a victim of a growing number of asylum seekers from the region. There are not many remarks related to Serbia's economic situation. One amendment is worth mentioning, proposed by Maria Eleni Koppa, who pays special attention to the dangerous growth of public debt which in November reached 60.5% of GDP. Unemployment is also growing - 23% - which puts Serbia alongside the countries with highest unemployment rate in Europe. These economic indicators are a factor for deepening of all the other problems outlined by the MEPs in their proposals for amendments. It is worth pointing out that leaving them unresolved will only deepen the economic crisis in the country and the region. The fight against corruption and organised crime, independence of media, free market and honest competition are prerequisites for overcoming the economic woes and for increasing prosperity. Something which in Bulgaria is still not well understood which shows that it would be meaningless for Serbia to enter the EU before solving the problems because membership would in no way help the country if it does not do that alone. What part of the above mentioned amendments will enter the final text of the resolution will become clear in February. Nonetheless, it is important all criticisms to be taken into account because they are based on real problems.